So this blogpost was supposed to be my standard re-review of Captain America: Civil War for Road To Infinity War. 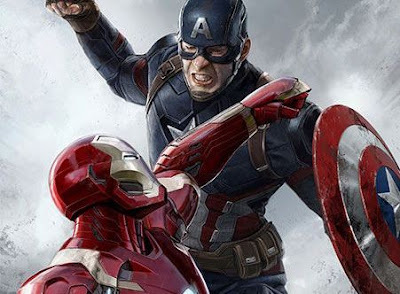 However it has evolved more into whether Civil War is better than Captain America: The Winter Soldier. Let’s get this out of the way, Captain America: Civil War is one of the absolute best Marvel Cinematic Universe movies (it remains in the MCU top 3 for me). It has a riveting story, a great cast of characters, incredible action sequences and a villain with believable motivations. Due to the amount of characters included it often gets referred to as Avengers 2.5, however it is very much led by Steve Rogers / Captain America and follows plot threads directly from Cap 2 so I think it makes the most sense as the third Captain America movie. The action sequences are especially amazing, the opening with Crossbones is excellent, the scene with Bucky trying to escape his flat in pursuit by Black Panther likewise, the airport sequence is every superhero geeks dream and the final showdown between Iron Man and Cap is hold your breath intense. Captain America: Civil War is an amazing movie. This may be blasphemous for me to say, but I think as a standalone film Civil War would actually be stronger without Peter Parker / Spider-Man included. Spider-Man is my favourite superhero, and I think the MCU / Tom Holland version is the most definitive version of the character. He’s amazing and his contribution to the airport scene is spectacular, so I wouldn’t want him not to be included. However from a pure storytelling structure perspective, the film has to literally stop mid-way through to introduce him. Don’t get me wrong it’s a great scene with Tony Stark and Peter Parker, but it’s only there to explain why this fan-favourite character is in the airport sequence. It has no bearing on the overall narrative, nor does it contribute to our lead protagonists / antagonists motivations or development. Spider-Man’s inclusion has no direct impact on Captain America’s story, and as this is a Captain America film you’d usually expect this to be linked in some way. I may be being overly harsh, but every other scene in the Civil War is so strong, it either drives the plot forward or develops and motivates our characters towards the films conclusion. Look at Black Panther / T’Challa for example, another new character introduced in the movie, yet his story is intricately part of the narrative from start to finish. After the airport sequence, Spider-Man has no other involvement in the film whatsoever. I think this has a lot to do with the Sony / Marvel Studios deal to get Spider-Man in the MCU, there was clearly a version of the script with him included and one without. If you remove Spider-Man from the film, it fundamentally doesn’t change, you miss some cool action beats but the overall film and story structure remain the same. He is literally inserted into the middle of film. Would I change this though? Absolutely not. Spider-Man’s inclusion is what makes the MCU so rich and full of potential, having these characters on screen together is a dream come true and it’s unbelievable we’re lucky enough to see this on the big screen. However, if you view Civil War as a standalone film it is literally the only thing I could find to criticise about the movie. Civil War is a masterpiece in story-telling, the fact it balances so many characters into a cohesive narrative is nothing short of magnificent, it’s just not as streamlined as Winter Soldier. Saying that however, I feel the final act of CW has the audience much more invested than WS, having Captain America and Iron Man fight it out is literally edge of your seat stuff. From an emotional turmoil perspective, I’m not sure this can ever be topped, you literally don’t know what to do whilst they’re fighting. Even if your Team Cap or Team Iron Man, you don’t really want one to ultimately win over the other. It’s nail biting stuff. 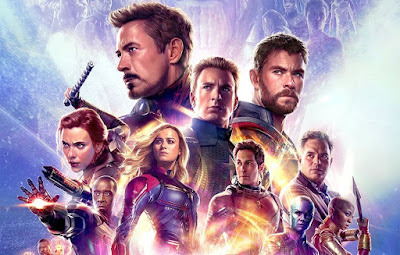 Despite including more than 12 superheroes, each character gets a chance to shine and the film clearly defines their motivations. This bodes well for Infinity War, as the same writers / directors will have even more characters to manage. I think technically Winter Soldier is the tighter more focused movie (slightly), yet Civil War has more spectacle and a more emotionally engaging climax. At the end of the day they are both absolutely incredible movies, and we’re lucky to have both of them.